The inquiry by former Supreme Court judge Justice B.N. 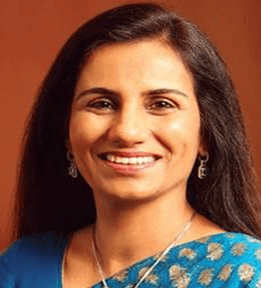 Srikrishna into the allegations against former ICICI Bank CEO Chanda Kochhar has taken eight long months to confirm what seems apparent that she did not conduct herself as she should have in relation to conflict of interest issues. It was only last week that the Central Bureau of Investigation filed an FIR against Ms. Kochhar, her husband Deepak Kochhar, head of the Videocon group Venugopal Dhoot and ICICI Bank executives for sanction of credit facilities in violation of rules, that caused a loss of ₹_1,730 crore to the bank. The investigating agency has a long way to go before it establishes whether the loans were given in return for financial favours, a charge that is at the heart of booking them for criminal conspiracy, cheating and corruption. But clearly, Ms. Kochhar erred, and badly at that, in not disclosing to the bank’s board her husband’s business connections with the Videocon group, which was a client of the bank. Worse, she failed to display the correctness expected of her by sitting on committees that sanctioned credit facilities to Videocon when she ought to have recused herself. Just a day after a ₹_300crore loan was disbursed to Videocon International Electronics in 2009, Mr. Kochhar’s Nu-Power Renewables received ₹_64 crore from the Videocon group. Whether this was a quid pro quo for the loan, as the CBI suggests, needs to be proved. But there is no denying that it made for poor, even suspicious, optics. The inquiry report holds her guilty of the violation of the bank’s “code of conduct, its framework for dealing with conflict of interest and fiduciary duties, and in terms of applicable Indian laws, rules and regulations.” The bank’s board has accepted the report and decided to treat her voluntary resignation from the bank in October as “termination for cause”, also deciding to claw back all bonuses paid to her since April 2009, hold back unpaid amounts and divest her of her stock option entitlements. These are strong penalties, but the question is: how did the board give her a clean chit as recently as March last year? It had then reposed its full confidence and faith in Ms. Kochhar and commended her and the management team for their “hard work and dedication”. It is impossible to believe the board was not aware of the allegations against the CEO given that a whistle blower had made them public in October 2016. Was the board then influenced by Ms. Kochhar into giving her a good conduct certificate? These are uncomfortable questions that raise doubts over the standards of corporate governance at one of India’s largest banks. 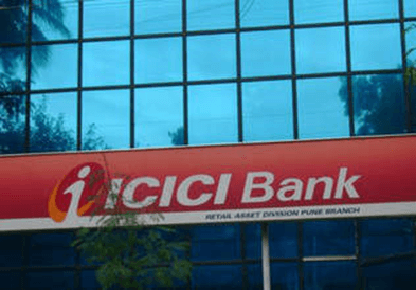 The ICICI Bank episode is only one among several instances of governance lapses in corporate India in recent times. Clearly, regulators need to up their game.